CAN LEE GET FAIR SHAKE IN TEXAS? 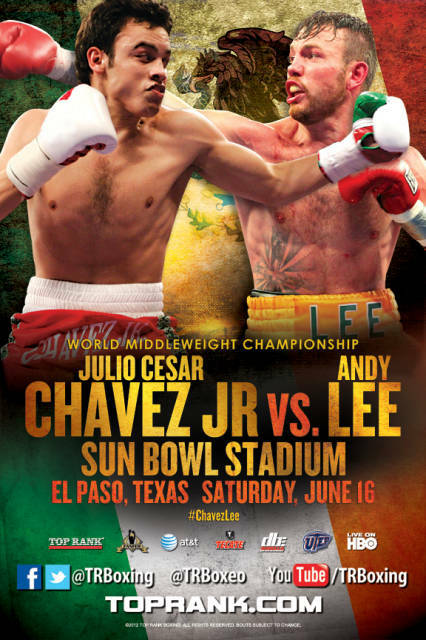 With Julio Cesar Chavez Jr. set to defend his middleweight belt against Andy Lee on Saturday night (10 ET, HBO) at the Sun Bowl in El Paso, Texas, where Chavez will be the enormous crowd favorite, Lee's promoter, Lou DiBella, is calling for a fair shake. "In recent times, the sport of boxing has been plagued by inexplicable decisions, questionable judging and the appearance of possible impropriety," DiBella said. "The greatest hope of Team Lee and DiBella Entertainment is that the fighter who truly wins on Saturday night gets his just rewards and not simply the consolation of a public that knows the truth. I fully believe that the Texas Department of Licensing and Regulation shares this sentiment. We are confident that the athletic commission in Texas, the judges and the referee are fully aware and agree that the sport of boxing cannot take, and does not deserve, more unnecessary controversy." Going to Texas -- which has a history of outrageous decisions -- is always dicey for the man opposing the house fighter, which is what Lee is. Fighting a Mexican fighter in Texas is also tough. And doing it against a Mexican fighter who holds a WBC title, as Chavez does, is even tougher when you consider how close WBC officials are to the Chavez family on a personal level. Let's not forget that it was Julio Cesar Chavez Sr., fighting in San Antonio, who got the benefit of a draw in a WBC title fight against Pernell Whitaker in one of the worst miscarriages of justice in boxing history. Still, DiBella professed confidence in his fighter. "Andy Lee is both one of the finest gentlemen and most talented boxers in the sport," DiBella said. "For both of these reasons, I am proud to be his promoter. Trained by the great Emanuel Steward, he will present Julio Cesar Chavez Jr. with the stiffest test of his career, a test that we at DBE do not believe he will pass. On Saturday night, there will be a new WBC middleweight champion of the world."